I strongly believe that ‘Education is the process by which the character is formed, strength of mind is increased and intellect is sharpened, as a result of which one can stand on own feet.’ It is a fact that education has always been a cornerstone of the society which guides as a beacon. In this present scenario of education system, every educationist strives to imbibe in every student a sense of virtue and wisdom that would help them to excel quest of acknowledge. The prime motive is to enhance the quality of education, which is rich in values and modern in content which helps to build the society. The main significant task is to cater the educational needs of the students of rural area. We nurture our students by providing professional, competitive, industry relevant education and value added courses. We ensure that our students are adequately equipped to meet the future challenges while catering to the specific requirements. In brief, we aim at development of our student at different levels by the proper encouragement, guidance and support. I express my heartfelt gratitude to the distinguished Honourable executive council members of Mahatma Gandhi Vidyamandir for their dynamic and visionary zeal in empowering us for the journey towards the realization of our dreams. I whole heartedly thank the staff members, parents and other members of the institute for striving endlessly to cooperate in our venture to every challenge on the path of success. Arts and Commerce College, Yeola has an outstanding history of educational legacy in the social and cultural transformation of this region since its beginnings. This region has been responsible for producing unprecedented personalities in Maharashtra and in the nation. The social and cultural institutions like Superstition Eradiation Samiti, Socialist Teachers’ Organization, the literary periodical Nav-Anushtubh, Samata Pratishthan and Anna Bhau Sathe Public Library have played significant roles in the cultural and social transformation of Yeola and its surrounding region. I am proud of myself to mention the fact that this college has signed MoUs with all these institutions and made our students and the alumni to take interest in the ensuing activities; the underlying principle is to nurture an educational ambience among the students of the college. I am sure that my colleagues shall make an effort to achieve the objectives of this institution and participate in bringing about the social and cultural transformation of the region that we are looking forward to achieve. The college has intended to co-relate with the social welfare. 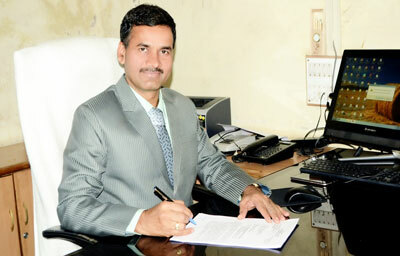 The goal of our college is all-round development of the students. College continuously makes efforts to create ideal citizens.